School of Biological Sciences, University of Bristol; Bristol, UK. Crucial to many an in-game environment, it may be said that trees are the unsung heroes of atmospheric immersion. Long before the advent of modern video-games, writers such as J.R.R. Tolkien keenly recognised their importance in crafting convincing fantasy worlds (Clark & Timmons, 2000). Today, with so many games being based on similar high fantasy settings, effective arboreal environments remain a key factor in creating truly engaging experiences. That said, the botanical intricacy of trees is often hard to replicate successfully in digital form, and throughout the history of modern games, there have been many attempts to do so, arguably with variable success. In this brief note, I aim to outline the progress made by game designers in attempting to craft and model effective trees, a process that at its best, combines art and science in almost equal measure. In the earlier days of gaming, when 8-bit graphics were the norm, trees and forests often amounted to little more than recurring background ‘placards’, designed simply to notify the player of the terrain type or level theme (Fig. 1). However, with the advent of 16-bit graphics, more scope was available for individual tree placing and varied designs. Games such as Secret of Mana (Fig. 2) began to make use of unique tree styles and foliage variations, enabling them to build distinct moods and atmospheres within different settings. There was still little link between real-world species and in-game designs, but this developmental era served to highlight the potential utility of trees in adding depth and environmental diversity to the gaming experience. Figure 1. 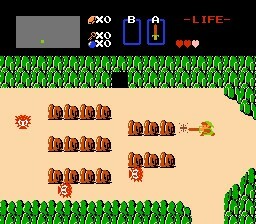 The Legend of Zelda (Nintendo, 1986) used 8-bit tree ‘placards’. Screenshot from the game. Figure 2. In Secret of Mana (Squaresoft, 1993), it can be seen that trees are more varied and detailed, adding to the in-game atmosphere. Screenshots from the game. Box 1. What is Dendrology? Dendrology is the study of trees, shrubs, and other wooded plants. It deals principally with their taxonomy (i.e., description, identification, nomenclature, and classification), biology, ecological distribution, and industrial potential. Arguably, the next major step in tree modelling came with the advent of fully 3D graphics, as they brought with them new innovations in tree shape, branching form, and perhaps most significantly, perspective (Egenfeldt-Nielson et al., 2008). Yet, with these opportunities necessarily came new challenges; vegetation was now infinitely more complex to model, and creating life-like trees was a much harder task with an extra dimension to consider. Consequently, early 3D games often saw a drop in foliage detail and model diversity when compared to their 2D predecessors (Fig. 3). Indeed, in some cases, tree modelling was reduced or avoided altogether in order to save processing power and shorten development. Over time, however, with better optimisation of 3D environments and increased modelling capabilities, games began to emerge that did justice to the beauty and elegance of sylvan environments. Figure 3. In early 3D titles such Tomb Raider (Eidos Interactive, 1996), trees and vegetation were essentially 2D textures with very low resolution, highlighting the difficulties of rendering them. Screenshot from the game. The third major evolution in tree design and modelling was born from a combination of increased graphical capabilities, and the prevalence of open-world games that required large tracts of forest and vegetation. Titles such as The Elder Scrolls IV: Oblivion and the Armed Assault series (Fig. 4) boasted maps so large that it became almost impossible to place trees by hand, and thus programs such as SpeedTree (SpeedTree, 2002) were developed. Figure 4. A. ARMA 2 (Bohemia Interactive, 2009). B. The Elder Scrolls IV: Oblivion (Bethesda Softworks LLC, 2006). Both titles used procedurally generated trees and foliage, adding geographical realism and reducing development burdens for large-scale maps. Screenshots from the games. These allowed realistic vegetation cover to be automatically generated over large expanses, simply based on geographical modelling. While bearing many similarities to the initial cut-and-paste use of tree ‘placards’ in early games, such techniques actually made for more life-like forest environments and tree placing, and furthermore, began to incorporate appropriate real-world species, diverse growth habits, and HD textures (Figs. 5, 6; SpeedTree, 2002). Figure 5. SpeedTree design interface. Programs such as this have made modelling trees and foliage faster, more effective, and more botanically accurate. 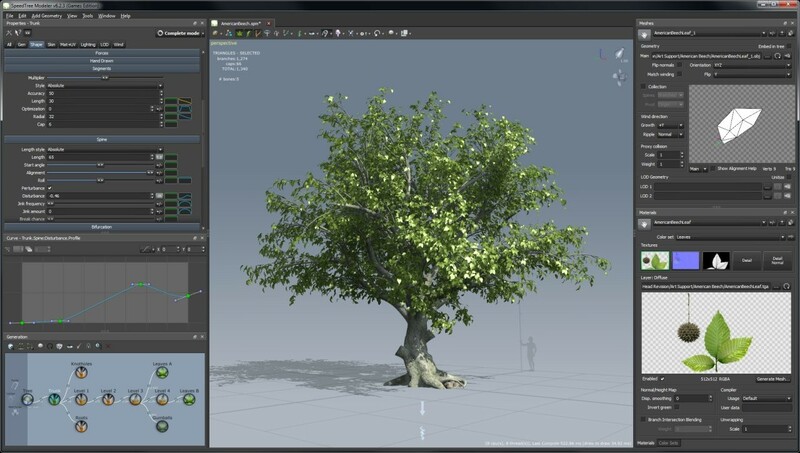 Screenshot taken from SpeedTree (2016). Figure 6. 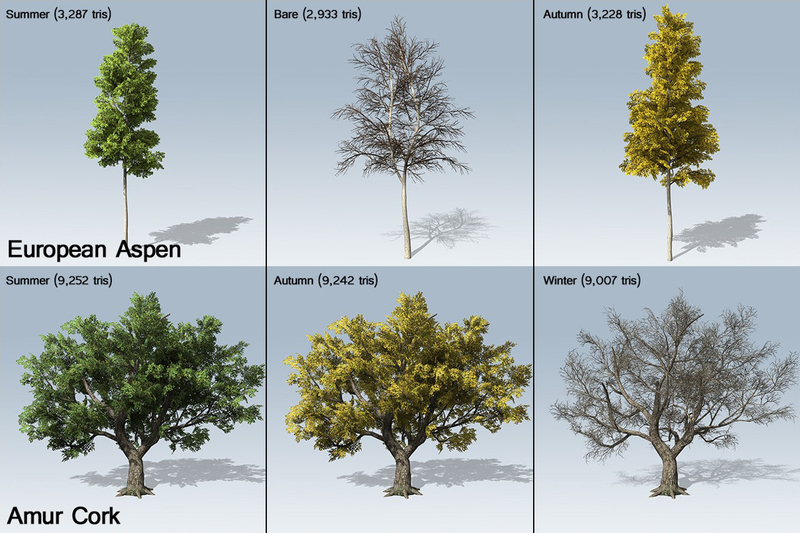 Species-specific foliage and mesh designs in SpeedTree. Those displayed are European Aspen (Populus tremula) and Amur Cork (Phellodendron amurense). Screenshots taken from SpeedTree (2016). On top of this, developers were still able to add the finishing artistic touches by hand, and thus further augment existing arboreal environments. All of this amounted to in-game trees that were more beautiful, more botanically accurate, and much easier to place and model from the perspective of game designers. 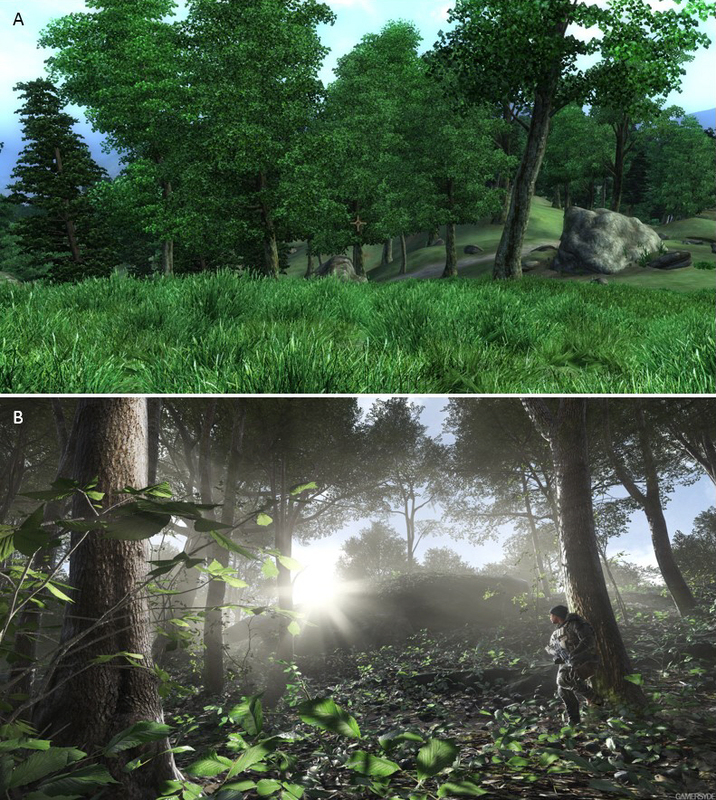 Hence, realistic trees and forest environments are now a standard feature in almost all recent non-stylised games (Fig. 7). So, next time you play, take a moment to appreciate a well-textured oak, finely-modelled willow, or HD birch, as they truly are a luxury of the digital age. Figure 7. Forest environments representative of modern rendering capabilities. Screenshots from: A. The Elder Scrolls IV: Oblivion; B. Battlefield 4 (Electronic Arts, 2013). Clark, G. & Timmons, D. (2000) J.R.R. Tolkien and His Literary Resonances. Greenwood Press, London. Egenfeldt-Nielson, S.; Heide Smith, J.; Pajares Tosca, S. (2008) Understanding Video Games. Routledge, New York. SpeedTree. (2002) SpeedTree. Available from: http://www.speedtree.com (Date of access: 25/Aug/2016).